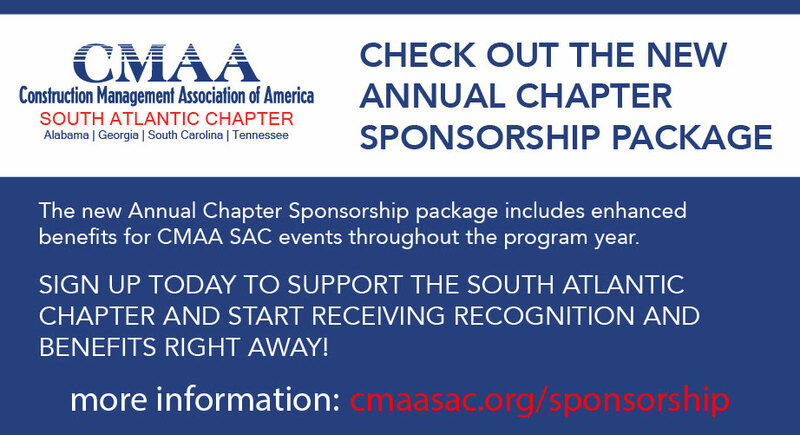 The South Atlantic Chapter of CMAA (which includes Georgia, Alabama, South Carolina, and Tennessee) is seeking your support for 2018 – 2019. Your support will make it possible for us to provide top-notch events and better communication for our members. The success of these will be credited largely to our sponsors, who lend their names and financial support throughout the year. The Sponsorship Program has been established to focus on bridging partnerships with region-wide businesses and organizations – all in an effort to grow the chapter resources to better serve our members and our communities. The structure of our Sponsorship Program will provide exposure for your company at an amazing value. We have various levels and ways for you and your firm to support CMAA-SAC, as detailed in the attached. Thank you in advance for your willingness to support the efforts of the South Atlantic Chapter. 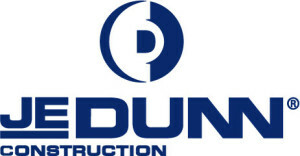 If we can answer any questions, please do not hesitate to contact us. One company representative to receive 1-2 minutes for introductions and description of company's services, products, etc.